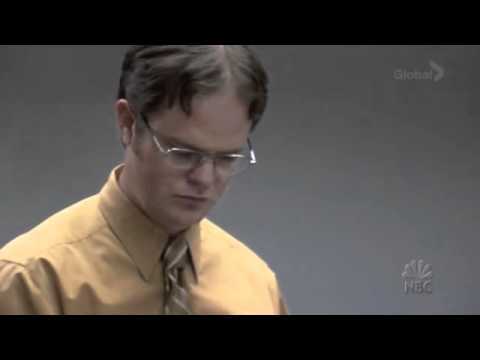 Dwight Schrute quotes chronicle the successful yet sometimes socially awkward life of the Dunder Mifflin Paper Company salesman, manager, assistant to the general manager and assistant general manager Dwight Kurt Schrute III. Portrayed by Rainn Wilson on the NBC series The Office, Dwight Schrute is one of the more popular characters on the comedy series which also has starred the likes of Steve Carrell, John Krasinski, Jenna Fischer, B.J. Novak, and Ed Helms. Modeled after Gareth Keenan of the original British version of The Office, Dwight Schrute thoroughly enjoys feeling superior to his co-workers and often expresses his feelings of his superiority. 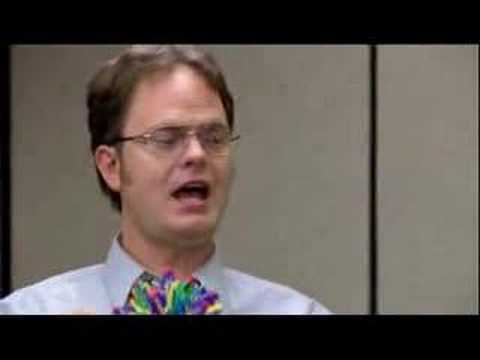 Between arguing over his title with Michael or simply expressing his place in the food chain (he's the lion), Dwight has few issues with self-esteem. Despite this strong will, Dwight is often the victim of pranks and jokes from his office coworkers, especially desk-mate Jim Halpert and general manager Michael Scott. 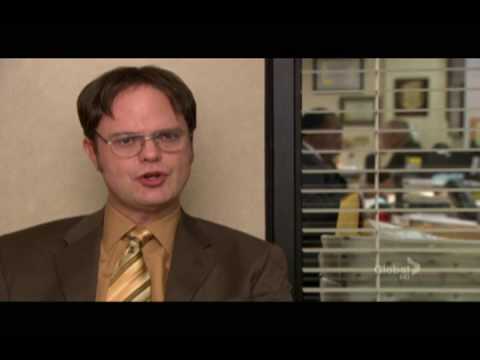 Dwight has little sense of humor but often inadvertently provides humor to his office-mates by being gullible and naive, such as when Jim tried to convince him that Benjamin Franklin was in the office. Whether he's talking about Schrute Farms, his favorite series Battlestar Galactica, or his own superhuman strength, a benefit of absorbing his own twin while in the womb, Dwight Schrute never fails to provide numerous memorable quotes. 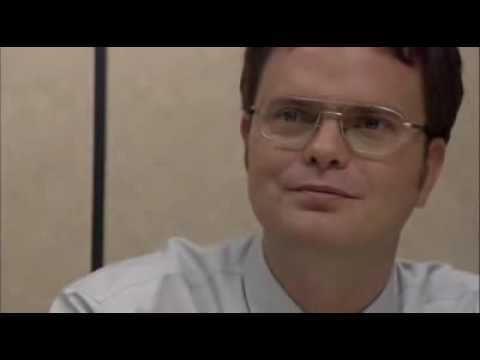 There are 40 rules all Schrute boys must learn by age 5. Rule #17- There are 3 things you never turn your back on- bears, men you have wronged, and a dominant male turkey during mating season. In the wild, there is no health care. In the wild, health care is, "Ow, I hurt my leg. I can't run. A lion eats me and I'm dead." Well, I'm not dead. I'm the lion, you're dead.